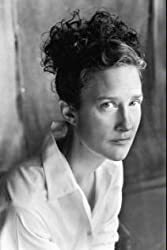 Carrie Brown has received many honors for her work, including a National Endowment for the Arts fellowship, the Barnes & Noble Discover Great New Writers Award, the Janet Heidinger Kafka Prize, the Great Lakes Book Award, and the Annual Library of Virginia Literary Award (twice). Her short fiction and essays have appeared in many literary journals. A graduate of Brown University and the MFA program in Creative Writing at the University of Virginia, where she held a prestigious Henry Hoyns Fellowship, she has taught creative writing at Sweet Briar College as the Margaret Banister Writer-in-Residence, at the University of North Carolina-Greensboro as a visiting writer, and at Hollins University as the Distinguished Visiting Professor of Creative Writing. She and her husband, the novelist John Gregory Brown, live in Massachusetts, where they teach at Deerfield Academy. CLICK HERE FOR MORE BOOKS BY CARRIE BROWN. 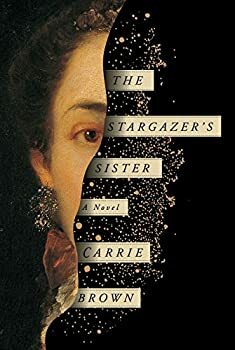 The Stargazer’s Sister, by Carrie Brown, is a wonderfully realized tale of Caroline Herschel, sister and essential assistant to her famed astronomer brother William. The highly fictionalized account (Brown cops in an afterword to making up events, characters, and shifting chronology) takes us deep into Caroline’s fears and desires throughout her long life, making for a quiet and moving character study.